The average High Tide differences, at specific places, are given below as a guide only. The information here is given only as a guide. The tide starts to come in approx 2 hours 15 mins before high tide. The sandbanks and channels are forever changing: do not rely on your memory from previous visits. Take no chances with the tides. 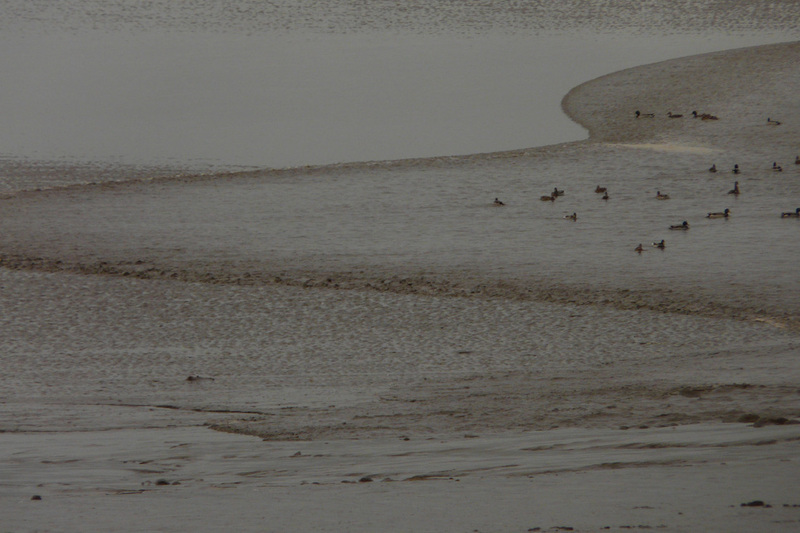 Tidal bore on the River Mersey. 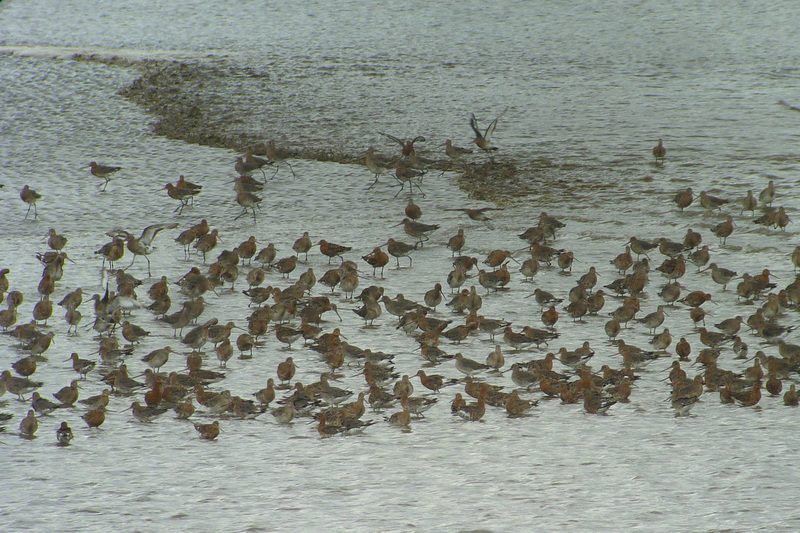 Black-tailed godwits feeding before the bore.